…are designed to meet the needs of companies that produce, transport, and/or consume natural gas that may not have on-site chromatography expertise in their laboratories, and provide them with a low cost of instrumentation operation and ownership. Therefore, fully automated GPA method analyzers, for example, GPA method 2186 configuration, utilize rugged rotary valves along with built-in gas calculations (weight, mole, liquid volume %, BTU and calorific values, etc.) provided by the optional Envantage Extended Calculations Report Generator software for easy automatic report generation and calculated data transfer to network or LIMS. 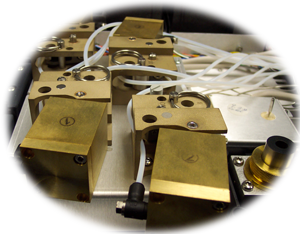 These systems can be provided on a wide variety of new and refurbished GC hardware and chromatography data systems.